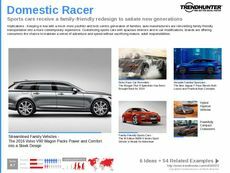 Find Better Ideas, Faster ® with a custom SUV trend report, our PRO Dashboard and 80+ categories of premium trend reports. 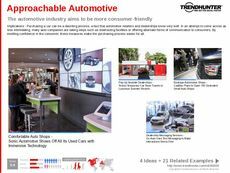 The SUV Trend Report uncovers the latest and newest trends that are currently grabbing consumers' attention. The SUV has grown to represent far more than just a vehicle, and its presence can be seen in trends involving families, lifestyle and design. Moreover, SUVs are undergoing a shift that incorporate a greater amount of tech and connectivity, as well as eco-friendly values. This report will showcase how some of the world's biggest brands like Honda and BMW are contributing to trends in the SUV market. 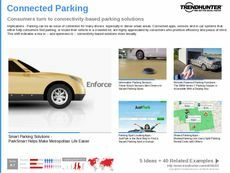 Car makers, car designers and engineers can use the SUV Trend Report to gain a better understanding of this type of vehicle. 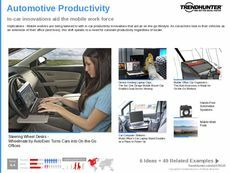 Furthermore, app-makers and those working in the tech industry can benefit from seeing what technologies are being used to create a better SUV experience for consumers and drivers. 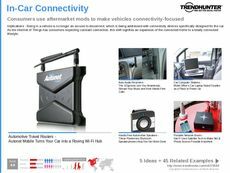 The SUV Trend Report uses Trend Hunter's crowdsourced data to formulate comprehensive findings that portray both consumer preferences as well as the latest trends in the SUV market.